Happy Labor Day Weekend my friends! It has been quite a while since my last post where I talked about Tone It Up’s Beach Week event. Since then, I started graduate school and experienced one of the most intense and stressful weeks of my life. Never have I crammed so much information into my brain in just one week. Oh my goodness! Although I did manage to eat healthy and workout most days, I did not successfully complete Beach Week. Sometimes you just have to focus on what you need to accomplish (in my case graduate work). During this past week, I have certainly felt anxiety up to my eyeballs and realized that in order to get these next two years of school I absolutely need to turn to outlets that help me reach a middle ground. Thus enter running and friends. When my brain was crowded with information, I needed to press pause on school work. 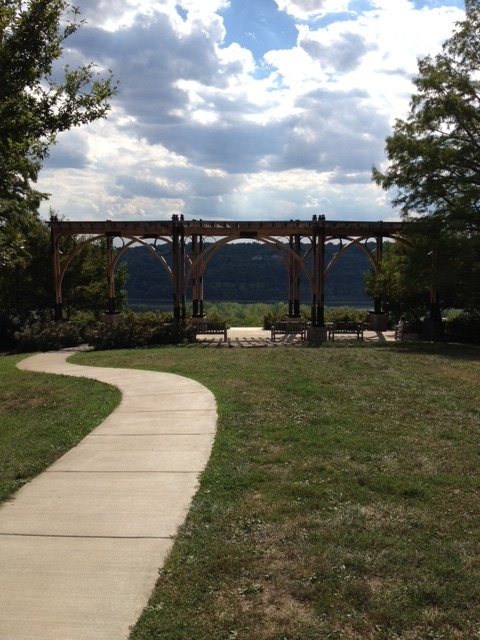 I laced up my running shoes and visited one of my favorite views of Cincinnati. I stood there for a few minutes, took out my earbuds, and just breathed in and out while taking in the view. Taking a few uninterrupted moments really helped me achieve a sense of peace and clarity. I have a feeling I’ll be visiting this spot quite a bit this semester..
My second outlet of stress relief this week was taking time to enjoy my friendships. Throughout the week, I felt like I had been shutting myself in my room without interacting with my roommates. 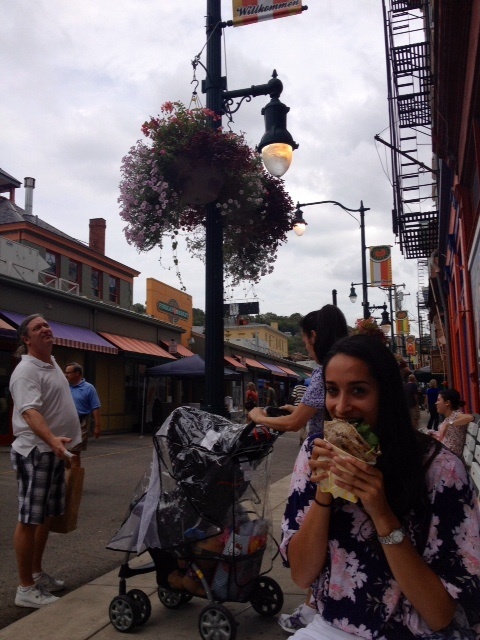 Yesterday, I was so happy that my roommate Annie suggested that we visit Cincinnati’s Findlay Market. 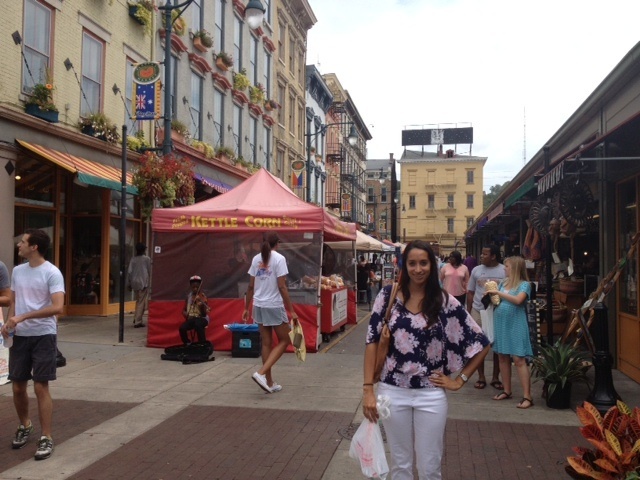 Findlay market is Ohio’s oldest public market and one of Cincinnati’s most beloved landmarks. The prospect of endless stations of food and fresh produce surely got me out of my desk chair and into the car. As soon as we arrived, I was immediately in love! The first place Annie and I visited was Churchill’s Fine Teas. After smelling practically every tea in the store, I chose the Karma Sutra Chai and Cranberry Autumn tea. I also purchased my first tea ball! I’m so excited to make my first loose leaf tea in my tea ball! 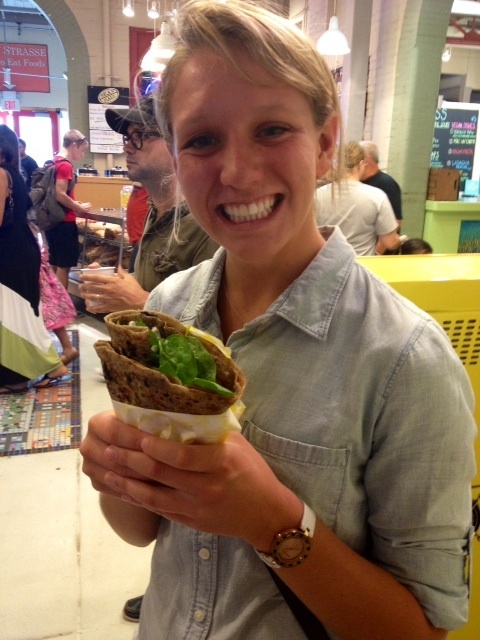 After pursuing the entire market, Annie and I both ordered the Vegetarian Crepe from “A Taste of Belgium”. It consisted of goat cheese, balsamic glaze, spinach, and roasted red peppers. It was love at first bite. The combination of good food and a great friend really made the afternoon special. There is nothing better than taking the time to enjoy some of life’s beautiful moments. Yes, graduate school is demanding, but without taking the opportunity to enjoy life I will surely miss out on the wonderful world around me. I hope you all are having a great Labor Day Weekend and that you are taking the time to indulge in the beautiful moments of life with friends & family.